Listing courtesy of Mariann Ilaria, Artisan Sotheby’s Internationa. The Colony House circa 1912 has been a Sonoma County Landmark for more than a century. Nestled on almost 16 acres in renowned Alexander Valley this stately residence played a prominent role in the rich history of Asti & the Italian Swiss Colony Winery. 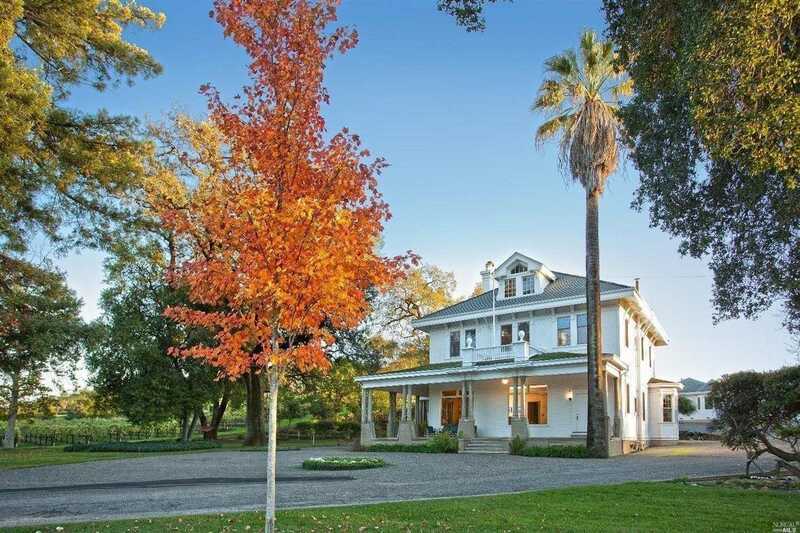 This enchanting estate consists of the main house, a guest house, caretaker’s cottage, equipment storage barn & several outbuildings w/ gorgeous gardens & 7+/- acres planted to cabernet sauvignon. Please, send me more information on this property: MLS# 21704183 – $3,495,000 – 26495 Asti Road, Cloverdale, CA 95425. I would like to schedule a showing appointment for this property: MLS# 21704183 – $3,495,000 – 26495 Asti Road, Cloverdale, CA 95425.